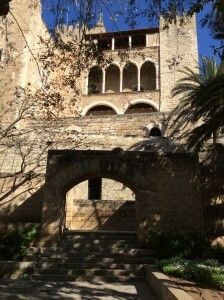 IF YOU ARE PLANNING TO VISIT MALLORCA, DON’T MISS THE FREE WALKING TOUR IN PALMA. From 1 July, if you are going on holidays this summer to Mallorca, don’t miss this unique tour around the old town. Mallorca Free Tour gives you the opportunity to learn more about this wonderful city. you will learn about the main monuments, anecdotes and historical periods of this beautiful town. Don’t hesitate to ask our official and local guides about any questions in english or spanish. Learn more about the Cathedral, the Almudaina palace, Cort, “la Plaza Mayor”…you won’t regret it! ¿A FREE TOUR IN PALMA? Yes, it’s a tour based only on tips of our visitors. Our guides are always highly motivated and who are willing to satisfy your expectations. Doesn’t matter your personal Budget, just come and try this experience! Come and join our free walking tour around the city from 1 July. Free Walking Tour in Palma.